Below is a comprehensive list of our available commercial properties for lease or sale in Southeastern Wisconsin. 3000-3080 S. CALHOUN ROAD, NEW BERLIN, WIS. This modern flex space is located along the east side of Calhoun Road and south of Ryerson Road in New Berlin Industrial Park. The office area is open concept; it has high ceilings, a polished concrete floor, and a white noise sound masking system. The space hosts individual offices, conference rooms, a large server room, an open kitchen area, and an open mezzanine area overlooking the first floor office. As an added benefit, the building contains a wet sprinkler system, motion sensor security system, and cable & fiber optics for internet connection. N7 W22025 JOHNSON DRIVE, PEWAUKEE, WIS. 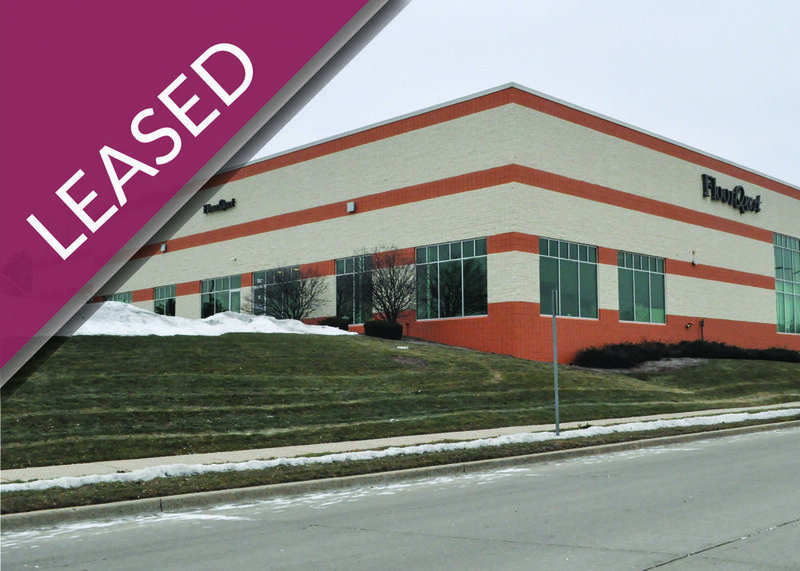 This high image flex space is located at the Southwest corner of Springdale Road and Johnson Drive in the City of Pewaukee, just minutes from Interstate 94. The office is comprised of several individual offices, conference rooms, large restrooms, a large bullpen area, and a kitchen/break room. There are four entries and currently two business occupying the building. SW CORNER OF HWY 164 & HWY M, PEWAUKEE, WIS. This 6.5 acre commercial site, located along a busy intersection in the City of Pewaukee, is currently zoned Rm-2 (multi-family) but has been approved for a B-6 (Mixed Use) zoning. The parcel could be split into two lots, with a two acre minimum requirement. Approved uses include: Daycare Facility, Memory Care Facility or Assisted Living, Small Medical or Small Dental Office, Professional Service Office (A orney, Engineer, Architect, etc. ), Real Estate or Insurance Office, Bank or Savings and Loan, Small Business Office (Financial Planner), Interior Decorator. Many Conditional Uses are also available, including office and retail businesses. The owner of the land would also complete a build to suit for the right tenant. 1201 SENTRY DRIVE, WAUKESHA, WIS. This 22,600 sq. ft. industrial building is located on the south side of Waukesha, just north of Sunset Drive near Waukesha’s newest retail development. Comprised of two dock doors and two drive-in doors, this building is designed as a single tenant building, but could be easily converted to a multi-tenant property. The building contains heavy power, floor drains, ceiling fans and a number of entrances. The office space, consisting of large open areas and a showroom, will require updating. HWY 16 & BLUEMOUND ROAD, PEWAUKEE, WIS. This unique parcel is located on the corner of Highway 16 and Bluemound Road in Pewaukee. Located across from Waukesha County Technical College, this lot is perfect for a variety of uses. With over three acres of land with a great location, this lot won’t last long. W241 S4135 PINE HOLLOW COURT, WAUKESHA, WIS. This well-maintained property, originally built in 1999, consists of several individual offices, conference rooms, a full kitchen, a reception area and two large restrooms. The property can easily be converted to a flex building, used as a multi-tenant space, or utilized for a variety of other purposes. It also includes six wall-pack heating and air conditioning units, as well as 400 Amp, 3-phase power. Located near the southwest corner of Hwy 59 and Hwy 164 in the Town of Waukesha, this property has easy access to I-43 and the future by-pass. 21275 GUMINA ROAD, BROOKFIELD, WIS. This is a two story residential home with a fully exposed basement, converted to an office building. Consisting of individual offices, open areas, full kitchen, covered front patio and a detached storage garage, this property has many potential uses. Bring your design ideas for the lower level and for potential expansion. Located near the intersection of Capitol Drive and Barker Road, this property has easy access to major roadways and is in close proximity to many restaurants, shops, banks and other office, retail and industrial businesses. 2517 N DOUSMAN ROAD, VILLAGE OF SUMMIT, WIS. This vacant land is located just west of Pabst Farms Commerce Center in the Village of Summit. The entire site is over 42 acres and the current owner is willing to sell approximately 18 acres, more or less. Situated just north of the Summit Village Hall, there could be numerous uses for this land. There is municipal water at the intersection of N Dousman Road and Delafield Road that services the Village Hall. This water service could be extended to this lot or the next owner could construct a private well. Municipal sewer is in the adjacent Pabst Farms Commerce Center but will not be available at this time. W160 S6369 COMMERCE DRIVE, MUSKEGO, WIS. This newly constructed masonry building includes high image office finishes with two full kitchens, large conference rooms, individual offices, eight restrooms and an open area. The property also provides a 24’ warehouse clearance, along with two docks and two drive-ins. Under the BP-3 Zoning, this space can be utilized for a variety of purposes. Located off of Moorland Road, this property has high visibility and is just minutes from I-43, with easy access. 700 ROSE DRIVE, HARTLAND, WIS. Located in the Village of Hartland, off of Hwy 83, north of I-94 and south of Hwy 16, this unit will work well for a contractor or other professional business that needs a small space with both a dock and a drive-in door. The office build-out consists of high-end finishes with three individual offices, a conference room, reception area, open area, two restrooms and a kitchenette. The warehouse contains high ceilings, ceiling fans, heavy power and new lighting. Additionally, there is an abundance of available parking stalls in the front and the spacious room for trucking in the rear. 3080 S. CALHOUN ROAD, NEW BERLIN, WIS. This modern flex space is located along the east side of Calhoun Road and south of Ryerson Road in the New Berlin Industrial Park. The office area is an open concept layout featuring high ceilings, a polished concrete floor, and a white noise sound masking system. The space hosts individual offices, conference rooms, a large server room, an open kitchen area, and an open mezzanine area. Additionally, the building contains a wet sprinkler system, motion sensor security system, and cable & fiber optics for internet connection. 1416 POPLAR DRIVE, WAUKESHA, WIS. Located just north of Sunset Drive (Hwy D) and west of Hwy X in the City of Waukesha, this multi-tenant flex building has a 6,750 SF unit available that contains approximately 1,400 SF of office space and 5,350 SF of warehouse space. With great access to Highways 59 and 164, as well as Interstate 43, this property will also be located right along the new by-pass. The owner would also consider selling this property. 16680 W. CLEVELAND AVENUE, NEW BERLIN, WIS.
4215 N 124TH STREET, BROOKFIELD, WIS. 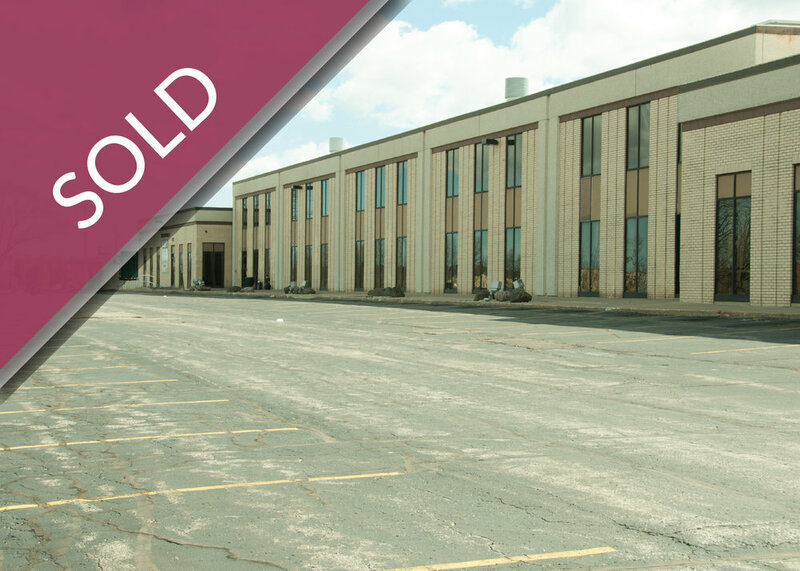 This two-building property located on a highly-trafficked industrial corridor in Brookfield, WI, is now available for sale or lease. It is highly visible to N 124th St. and just one block north of Capitol Drive. The main building includes 1,990 square feet of office space and 3,545 square feet of warehouse space. The storage building, located in the back, is 3,200 square feet with an additional mezzanine area. Additional amenities include, updated roof and electrical, a five-ton crane and a fenced/gated area. 13805 W. BURLEIGH ROAD, BROOKFIELD, WIS. This 10,774 sq. ft. two tenant office building was remodeled in 2016 with excellent finishes. Wisconsin Education Association Council (WEAC) occupies over 4,000 sq. ft. at the east end of the building and is currently in its 2nd year of a 5-year lease. The remaining space is occupied by the owner. There are two common restrooms. This is a perfect owner occupied investment building. The available space will have a reception area, several individual offices, large conference rooms, a wide open area for cubicles and a kitchen/break area. A patio along the south exterior of the building with access from the break room and a couple of offices is a perfect area for outdoor eating. 1501 E. WISCONSIN AVE, DELAVAN, WIS. This investment property consists of 186,000 square feet on over 10 acres of land in the City of Delavan Industrial Park. Originally built in 1969, this property has gone through extensive remodeling and improvements to the office and warehouse. Five tenants (all either NN or gross leases) currently occupy the property and there is a small amount of warehouse and office space available for lease. WEST WISCONSIN AVENUE, PEWAUKEE, WIS. This unique parcel is located across from Pewaukee Beach with amazing views of Pewaukee Lake. The property had previously been looked at as a condo development but can also be developed into retail and office. 530 HARTBROOK DRIVE, HARTLAND, WIS. Located on Hartbrook Drive in the Village of Hartland, just north of Hwy 16 and east of Hwy 83, this newly renovated building would be a great fit for many different office, medical and retail uses. Currently a two tenant building (carpet/interiors and pediatric dentistry), this property can be easily converted to a single or multi-tenant building. This property is near the Sendik’s Food Market and is surrounded by retail, restaurants, professional offices and local banks. The upscale interior consists of a showroom, individual offices, two restrooms and three separate entrances. This one acre lot will allow for future expansion. 180 GRANT STREET, HARTFORD, WIS. This industrial property consists of 22,000 square feet on 1.77 acres in the City of HarTford. Easily divisible into two units of 7,000 square feet and 15,000 square feet with an abundance of loading and parking. Easy access to several highways and near several retail and commercial developments. 3200 S. 166TH STREET, NEW BERLIN, WIS. This very clean and well maintained ex space is located along the east side of S 166th Street, just east of S Calhoun Road and south of W Cleveland Avenue in the City of New Berlin Industrial Park. Si ng on over 4 acres of a heavily wooded lot, this two-tenant property o ers a quiet se ng with good access to Interstate 94, Interstate 43 and Moorland Road. The space hosts a recep on area, individual o ces, conference room, kitchen area and server room. This building is fully sprinklered. W232 N6260 WAUKESHA AVENUE, SUSSEX, WIS. 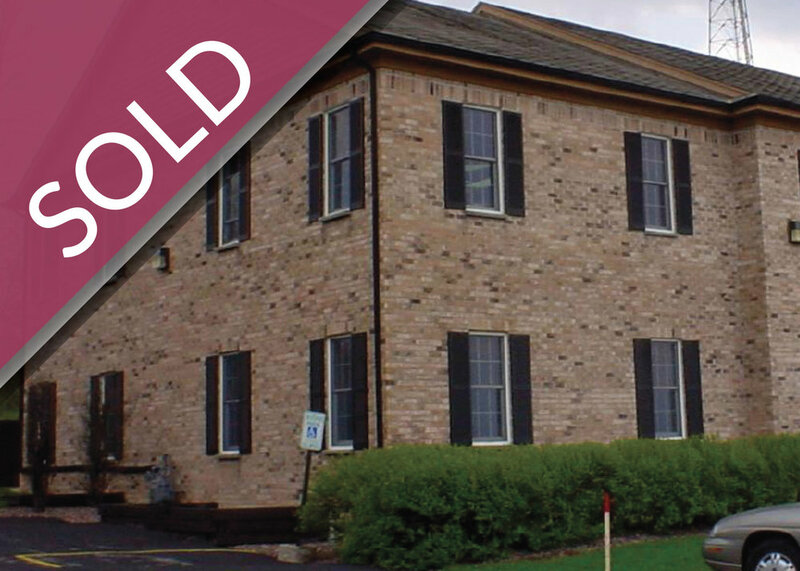 This property is on the busy corner of Hwy VV (Silver Spring Drive) and Waukesha Avenue in the Village of Sussex. The neat office or retail space in the heart of the rapidly-developing village is ideal for a business looking for high visibility and a dense population center. 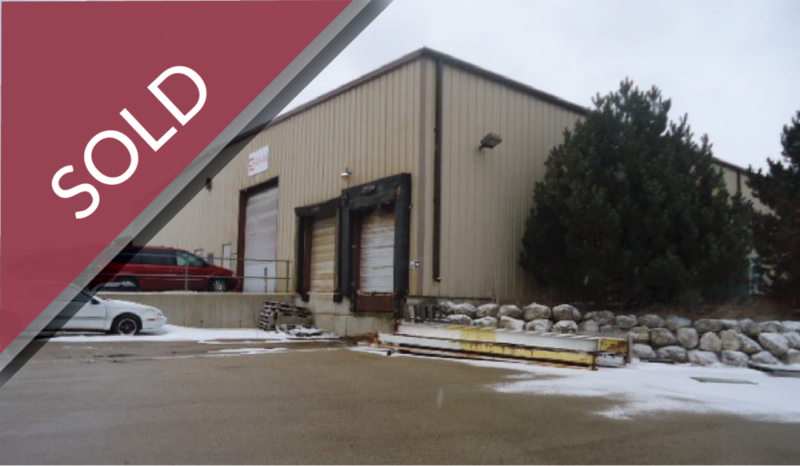 16675 W. GLENDALE DRIVE, NEW BERLIN, WIS.
16675 W. Glendale Drive, a 44,280 square foot building (plus more than 5,000 square feet of mezzanine storage space) has recently been made available. This building — equipped with air lines, sprinklers, and HVAC throughout—is easily divisible into three separate units of 8,640 square foot, 10,640 square foot, and 25,000 square foot (with ~5,000 square feet of additional mezzanine storage). N62 W22632 VILLAGE DRIVE, SUSSEX, WIS. This industrial property is located in Sussex Industrial Park, north of Silver Spring Avenue (Hwy VV) and south of Main Street, just east of Highway 74. The building, for sale or lease, can easily be converted into a two-tenant investment property or can host a single user for 32,000+ square feet. The warehouse contains two separate clear heights of 14’ and 16’, respec vely, while also o ering heavy power. Two dock doors and three drive-in doors provide an abundance of loading op ons. 1201 DOLPHIN COURT, WAUKESHA, WIS. Located just east of Highway 164 and south of Highway 18 in the City of Waukesha, this flex space is just minutes from Interstate 94 and easy access to Interstate 43. This unit has all the amenities, including 22' clear height and 2 docks and a drive-in the warehouse, along with a reception area, individual offices, conference room, lunch room and two restrooms in the office. This unit is currently leased but is available when you are ready to move. 21516 W. GREENFIELD AVENUE, NEW BERLIN, WIS. 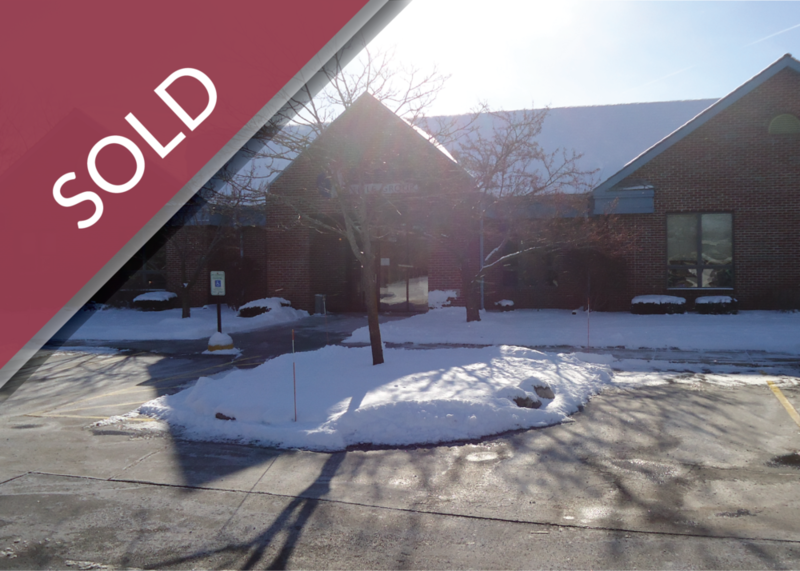 Located on the highly-trafficked Greenfield Avenue in New Berlin, this 6,000 square foot office building is ready for the new tenants. With a multitude offices and cubicles, a kitchen, conference room, storage area, bathrooms, and other amenities, a new user could move in and immediately function as a business. W246 N3255 INDUSTRIAL LANE, WAUKESHA, WIS. This opportunity available at W246 N3255 Industrial Lane is easily accessed by both Highway 164 and Interstate 94 and is located the town Waukesha. With approximately 5,000 square feet of industrial/warehouse space with a small office and restroom, this space also includes heavy power, one dock and one drive-in — everything needed to move in and continue production. 1221 MARLIN COURT, WAUKESHA, WIS. This high image flex space is located just east of Highway 164 and south of Highway 18 in the City of Waukesha, just minutes from Interstate 94 and easy access to Interstate 43. The office is comprised of several individual offices, conference rooms, there restrooms, a spacious reception area, a large bullpen area, and a kitchenette. 1217 S. GRANDVIEW BLVD., WAUKESHA, WIS.
Just outside of Downtown Waukesha and only fifteen minutes to either Goerkes Corners or Interstate 43, 1217 S. Grandview is the ideal location for your business. This property boasts over 10,000 square feet with both office and warehouse space and is zoned M-2, sitting on 2.22 acres allowing for outside storage and/or room for expansion. 225 REGENCY COURT, BROOKFIELD, WIS. This office building is conveniently located in the Town of Brookfield; surrounded by a variety of retail, business, and restaurants; and only minutes from Interstate 94 by way of Bluemound Road. 245 REGENCY COURT, BROOKFIELD, WIS.
225-245 REGENCY COURT, BROOKFIELD, WIS. These two office buildings are conveniently located in the Town of Brookfield; surrounded by a variety of retail, business, and restaurants; and only minutes from Interstate 94 by way of Bluemound Road. Each well-constructed office building offers three floors of rentable space.